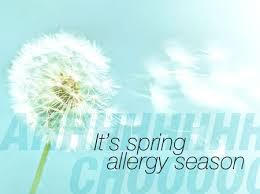 Allergies, Cold, Flu, Spring Fever! The awful Brisbane flu strain! Time to get it sorted! Increased T Helper 2 immune cells – these are the ones that cause allergic tendencies. To quench these T Helper 2 cells we use products such as Allergeze, Zinc ACE, and Eyebright Complex. There are also homeopathics and herbal tonics which help to settle down your T Helper 2 cells. Decreased T Helper 1 immune cells – these are the cells that when boosted fight viruses, bacteria, fungus, cancer cells and candida. T Helper Immune Cells are boosted by Zinc ACE, Many herbs such as andrographis, Echinacea and Manuka. Your T Helper 3 immune cells are fast asleep! Well, not really, but they do balance the T Helper cells, so if we are suffering spring fever, they’re probably not functioning properly! Prebiotics such as Ultra Flora Digest and Probiotics such as Ultra Flora Immune, Ultra Biotic 45 and Kids Flora Care are some of the products we use – but everyone is different and may require something more specific! There are specific supplements for cold, flu… depending on your symptoms. 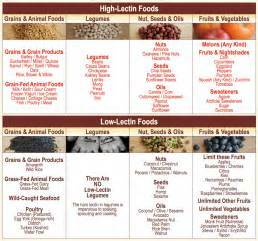 You need a combination of these long-term to get your immune system issues under control. Why do these immune system cells get out of balance? studies show that people with chronic asthma and allergies tummies contain few, if any, of the healthy gut bacteria that keep us safe from allergies, colds and flu. This is the naturopath domain, not the doctors. Stress. stress, pain, anxiety – increase cortisol and that kills some of our good bacteria in the gut. Not a bad idea to take probiotics when we’re stress. There’s a massive gut-brain connection as you would have heard about… Hugely important. Diet. A diet high in refined sugars, carbohydrates, flour, processed foods – contains no pre-biotics and destroys good gut flora. Talk to us about healthy eating with an open mind if you want to live a long and healthy life. Weight. Yes, weight. Having a BMI over 30 (20% more than optimal) means you’re releasing at least 32 inflammatory hormones 100% of the time – it shuts down the immune system, increases stress hormones, activates fight and flight, and causes leaky gut. Start improving your weight/fat/muscle ratio – we can help! Ew!! Let’s talk yucky mucus! This is a fungal ball – the result of anti-bitoics which allow fungus to grow, and then the body releases mucus to sop up the fungus. Yuck! Research is showing that biofilm (a mucus substance that is released to ‘sop up’ bacterial, fungal and viral particles) in the average person – with a normal history of vaccines and anti-biotic use, is holding up to 20 chronic infections in our bodies. Why? Vaccines – the ‘adjuvants’ in vaccines – the mercury and aluminium – are highly toxic to the gut lining and to our immune cells. These heavy metals not only make our bodies need to make more biofilm, but they destroy good gut bacteria and good gut viruses and can turn them into nasty disease forming bugs. We have 24,000 genes which will last our lifetime. We have between 1000-2500 different types of bacteria, viruses, candida, fungal ‘bugs’ living in our bodies all the time (making up trillions of cells – this is our microbiome) – Bugs have a short shelf life – and as THEY replicate, THEY are learning how to live in OUR bodies. If we’re stressed – they’re learning to live in a stressful environment. If we’re toxic – they’re learning how to live in a toxic environment. Where does the biofilm live in our bodies? What can we do about biofilm? Kinesiology and Microcurrent helps your body to activate biofilm so that the immune system can recognise it and start dealing with it. There are herbs, supplements and essential oils which help to break down biofilm and release old infections (so that we can deal with them) – favourite supplements at New Leaf are Bactrex, Parex, NasoClear, Herbal Throat Spray and N-acetyl cysteine. Boost the immune system, tone the organs that have been damaged (lungs, gut, brain, throat, intestines), deal with the infections as they are released from deep inside and improve the way the body copes with stress. Chi Nei Tsang and Reflexology can support the body in breaking down biofilm and boosting the immunity. We can help. Biofilm is linked to all chronic disease – not to mention kids health. Ask about our OligoScan, Looking at your blood in real time… and Kinesiology testing. Far Infrared Sauna – amazing health benefits! Perspiration is recognised by health practitioners worldwide as perhaps the most effective method of removing both difficult chemical and heavy metal toxins from the body. The combination of “resonant absorption” and low heat makes this the detox method of choice for chronically ill patients as well as those that are well and wish to stay that way by reducing their “toxic burden”. As your body increases sweat production to cool itself, your heart works harder to boost circulation, thus improving your cardiovascular system. Your immune system is also strengthened because when your body temperature is raised, your systems fight this “artificial fever”. Sweating helps detoxify your body, by removing the accumulation of potentially carcinogenic heavy metals as well as alcohol, nicotine, sodium and excess cholesterol. Profuse perspiration also deeply cleanses the skin, improving tone and helping to treat skin conditions. Hippocrates, the founder of modern medicine wrote more than two thousand years ago “Give me the power to create a fever, and I shall cure any disease.” During a fever the functioning of the immune system is stimulated, whilst the growth of bacteria and virus is forced to slow down. Fever is the body’s natural defense against bacteria, viruses and microbes. Heat triggers the production of infection-fighting white blood cells. The result is immune system improvement. The generation of antibodies speeds up, as does the production of interferon, an anti viral protein that also has powerful healing properties. Far Infra-red sauna is one of the most effective forms of heat treatment it’s technology allows the radiant heat to penetrate the body rather than heating the air in the sauna. It is also better tolerated by those who have trouble with the intense heat of traditional saunas as well as producing maximum health benefit with lower ambient heat. As the pores in the skin open up millions of sweat glands start to excrete, the body rids itself of metabolic and other waste products. Sweat contains almost the same elements as urine and for this reason, the skin is sometimes called the ‘third kidney’. It is estimated that as much as 30% of bodily wastes are eliminated by way of perspiration. Is well tolerated by most healthy adults and older children. Can be helpful for patients with asthma and chronic bronchitis. It decreases pain and increases mobility in patients with rheumatic diseases. Always remember to re-hydrate following heat therapies, drink extra amounts of water throughout the day. Book a session with us at New Leaf today! Oh my goodness, the list goes on. And although we work with substances such as these with a combination of homeopathics, natural supplements, kinesiology techniques, microcurrent – we know we can work to boost immunity in the long term, thereby relieving symptoms and improving quality of life! Health Issues for Children: we can help! Following doctors and societies instructions – having anti-biotics, vaccinations, breast feeding whilst on anti-depressants or other medications, giving medications such as Ritalin and dex-amphetamines, using drugs such as steroids daily… All with our vague knowledge of the side-effects but being told everything’s going to be okay. Phew!! What a list! Honestly, we are happy to support any child’s health and vitality with any child with any condition. With our combination of experience and expertise we can put together a programme to suit your child and help health and happiness come as quickly as possible. NOT Neural organisational technique: this is a process that helps reorganise the neurology of your child, head to toe. You are currently browsing the archives for the Asthma category.